As part of the Asia-Pacific Incentives & Meetings Exhibition (AIME) in Melbourne, members of the media were offered pre-fam tours of several cities. I picked Phillip Island, southeast of Melbourne, in Western Port Bay, because it was easy to get to and the description sounded like a blast. Even the 90-minute coach ride south from Melbourne kept us entertained as Ben Roulston from Be Challenged put us through team-building and networking games. Our first stop was our home for the night, the Silverwater Resort, a three-year-old property that looks brand new and feels like an upscale American apartment complex. The 170 guest rooms have dens, kitchens, and up to three bedrooms. But probably my favorite thing about Silverwater was the landing pad for helicopter rides. Phillip Island Helicopters offer groups and individuals five different flight options; for our pre-fam group, they used two crafts, each taking turns carrying three of us for 10-minute rides. Stops at Churchill Island Heritage Farm, the Phillip Island Chocolate Factory, the Purple Hen Winery, and the Koala Conservation Centre helped make our journey more memorable. Churchill Island, which offers function space for groups, is a working farm with milking, sheep-shearing, and whip-cracking demonstrations (yes, like Indiana Jones). 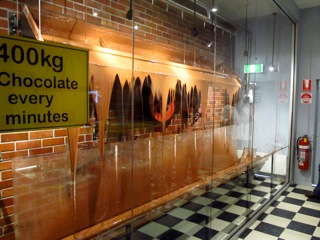 The Chocolate Factory, aside from concocting scrumptious confections, allows visitors to see how the goodies are made, surrounded by little chocolate villages and fun music. (I couldn’t help but hum the Willy Wonka song.) At the Conservation Centre, wild oalas had everyone snapping photos of the adorable furry creatures as they sat in trees just a few meters above our heads. Our day came to a close at the famous Phillip Island Penguin Parade, the nation’s most popular wildlife attraction. Each night at dusk, hundreds of wild Little Penguins, the world’s smallest penguin, emerge from the sea and trek across the beach in search of sand-dune burrows, in which they will they will rest for a day or two, after having just gorged on fish in the ocean. This natural phenomenon is the largest Little Penguin colony in the world. Although no one is allowed to touch or even photograph the weensy waddlers, visitors can get an arm’s length away as the penguins search for their burrows. 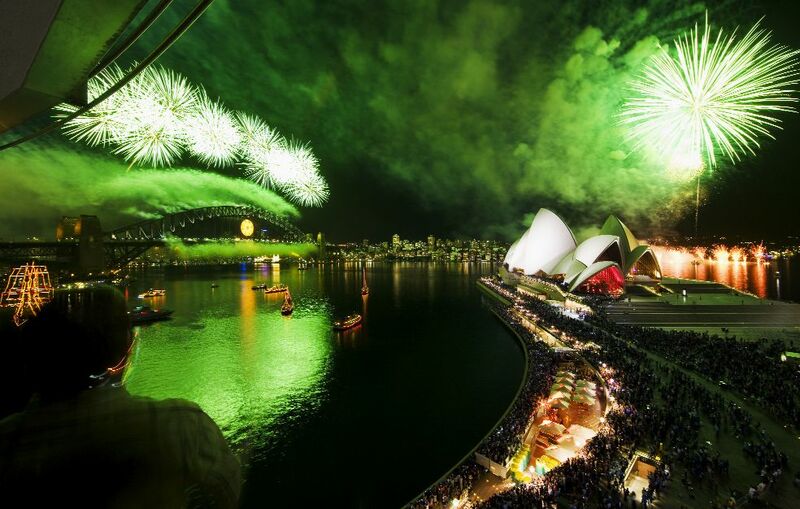 The bright lights of Sydney Harbour. After AIME, Business Events Sydney hosted a three-day post-fam trip during which Alan and other participants stayed at the Shangri-La Hotel Sydney, a luxurious property in the heart of downtown that offers 563 guest rooms and suites, 18 conference rooms — and truly breathtaking views of Sydney Harbour. The post-fam’s action-packed itinerary included a tour of the magnificent Sydney Opera House, which is available for private events; a climb up the Sydney Harbour Bridge, culminating in a panoramic look at the city more than 450 above the water; a sunset cruise on Sydney Harbour; a visit to an authentic Australian farm, where stockmen on horseback maneuvered around livestock; a traditional barbecue in the outback; and world-class shopping, dining, and nightlife.